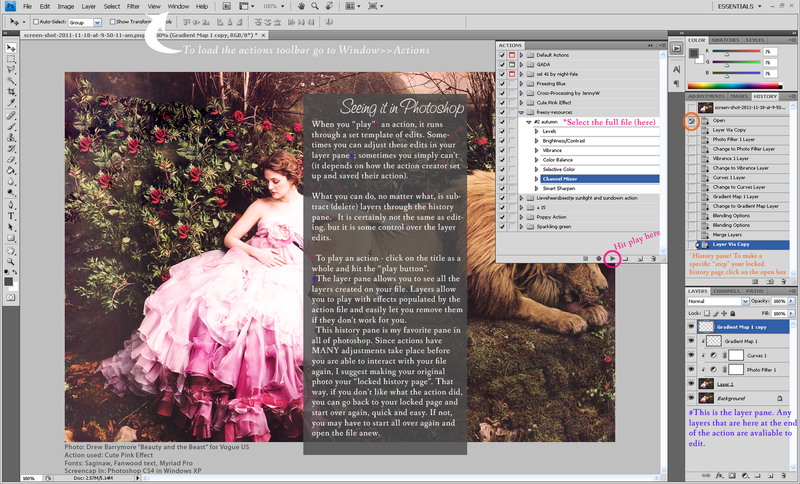 We've all heard of them; we've all seen them all over the place -- photoshop actions. Do we know how to use them? Or usefully use them? Eh...that's the question. Today, I'm dissecting the photoshop action, and sharing with you some of my favorites. First things first. What is a photoshop action? Well, its like the condensed, do-it-for-ya type of tutorial. An action is a file, and when you tell the file to play it applies different actions (like saturation, curves, etc) for you in a pre-set template. When you press play, the automatic file does all the work for you.You can find actions all over the place, for many different things, but favorites are played with photo filter actions. For example, Instagram. 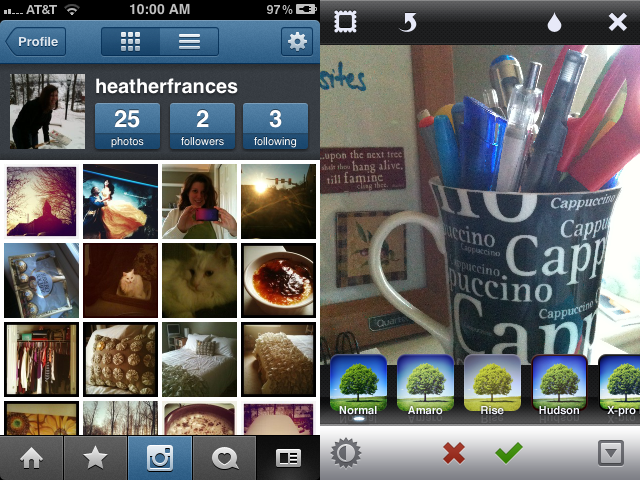 Instagram is a smart phone (free!) application which will change your photos at the touch of your finger. These "actions" can add interest, contrast, and a dynamic feel to your photos without having to know a single principle about photoshop. Plus, its super quick and easy. And I suspect Instagram is the reason photoshop actions themselves are so huge right now. And without going into each instagram editing feature (you can see them on the right), I will say that you can find actions/filters/tutorials to achieve their effects. Try here and here. 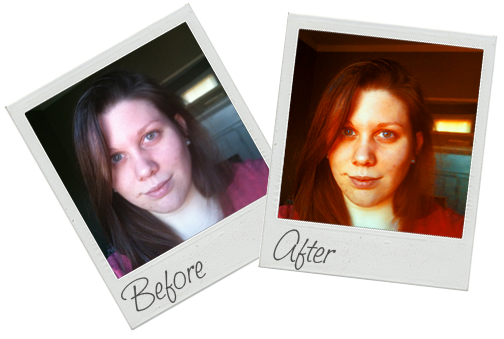 I advocate -- of course I do, I'm writing this post -- using photoshop. You see, when you post photos for your blog, not only is it wonderful to use pictures you've taken, but to add a little pinash to them. By using a few choice actions, you're able to transform a photo and adjust key elements of that transformation to be prefect just for your blog. Not to mention the time that you can save by using an action on a blog photo. Below are some of my favorite actions to use, shown with a photo I would post here on rusty. Actions made easy? I think so! Even if you're not the most advanced photoshop aficionado, actions can help your photos look trend setting and fashion forward.